Guizhou (NBL) agreed terms with 29-year old American forward Brandon Costner (206-107kg-87, college: North Carolina State). He played this summer at Caciques de Humacao in Puerto Rican BSN league. In 38 games he was second best scorer with impressive 19.9ppg and averaged 6.3rpg and 2.3apg. A very spectacular season in his career as he was voted Latinbasket.com All-Puerto Rican BSN Center of the Year, named to 1st Team and named to All-Imports Team. He attended North Carolina State until 2009 and it will be his eighth season in pro basketball. Costner won D-League West Division championship title in 2014. He is quite experienced player. Costner has played in four different countries on three different continents (Europe, Asia and of course North America). He has played previously professionally in Belgium (Belfius Mons-Hainaut), France, D-League (Los Angeles D-Fenders and Utah F.) and China (Jiangsu Tongxi). The All Star Game 2019 will be in the city of Ponce on May 3. This day will be also the 3-point competition and the Slam Dunk contest. On May 2 will be the game of prospects of BSN and the Celebrity game. The game will be between the North Team and South Team. On May 4 there will be a charity golf tournament to finish the weekend. Dominican guard Rigoberto Mendoza (190-G-92) joined Santeros de Aguada and is expected to make his debut Tuesday against Quebradillas. Ismael Romero (203-C-91) announced that he is joining Vaqueros de Bayamon on Tuesday. His debut is scheduled for later in the week. 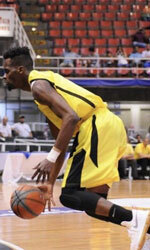 Jeleel Akindele (216-C-83, college: Chicago St., agency: BeoBasket) already signed with Capitanes de Arecibo. The team should announce if he replaces M.J. Rhett or Victor Rudd. Also the team expects guard David Huertas later in the week. 25-year old point guard Juan Miguel Suero (198-PG-93) put on an extraordinary performance in the last week for Fajardo and receives a Interperformances Player of the Week award for week 8. He had the game-high 25 points adding six rebounds and eight assists for Fajardo in his team's victory, helping them to edge out Mayaguez (#9, 6-11) 99-98. Thanks to this victory Fajardo moved-up to the 5th position in Puerto Rican league. Fajardo is a typical solid league team placed somewhere in the middle or a little bit lower in the standings. They need more victories to improve their 10-9 record. Suero just recently signed at Fajardo, being already a very valuable addition to the team. Juan Miguel Suero averages this season 19.6ppg, 7.4rpg and 9.0apg. 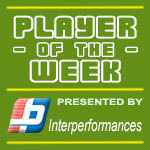 Second best performed player last week was Greg Smith (208-C-91) of Bayamon. He is American center in his first season at Bayamon. 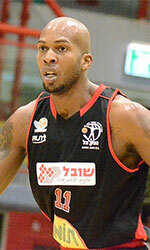 In the last game Smith recorded impressive double-double of 26 points and 14 rebounds. Bad luck as Bayamon lost that game 100-105 to the higher-ranked Ponce (#3, 10-6). Bayamon managed to keep the same 8th spot in the standings. His team is not often considered as one of the league's best with a mere 7-9 record. Smith is one of the most experienced players at Bayamon and has a reputation of one of team's most reliable players. Third place about best performers goes to guard Victor Liz (193-SG-86) of Ponce (#3). Liz showcased his all-around game by recording 27 points, seven rebounds and eight assists in the last week. Despite Liz's great performance Ponce lost 82-92 to the lower-ranked Mayaguez (#9, 6-11). But his team cannot count on just a single shooter as he also needs help of the other teammates. The last thing Ponce needs is to lose another game like this one. They lose more and more distance to the top teams. Their record is 10 victories and 6 lost games. Liz has a very solid season. In 15 games in Puerto Rico he scored 17.9ppg. He also has 5.3rpg, 3.5apg and FGP: 57.7%.